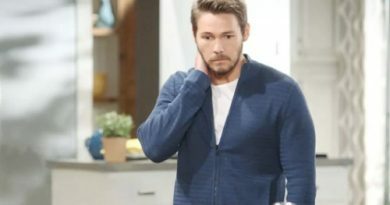 ‘Bold and the Beautiful’ Spoilers: Will Brad Bell Ruin Steffy’s Happiness? Is the Bold and the Beautiful ramping up for a shocker for Steffy? Now that she’s the happy mom of newborn baby Kelly are the people behind the Bold and the Beautiful scenes scripting a plot that pulls the rug right out from under her? Will the eight-time Daytime Emmy Award Winner Bradley Bell put Steffy’s life in a tailspin? ‘Bold and the Beautiful’ Spoilers: Sally Gets Hired at Forrester Creations- Hope & Quinn Betrayed? ‘Bold and the Beautiful’ Spoilers: The Women of ‘B&B’ Come Together-Epic Bill Takedown? 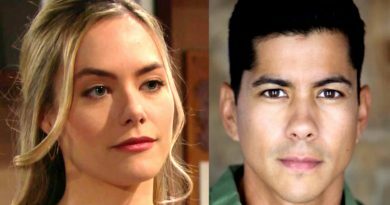 ‘Bold and the Beautiful’ spoilers: Wyatt & Sally Hook up? ‘Bold and the Beautiful’ spoilers: Hope Moves on With a New Man? ‘Bold and the Beautiful’ spoilers: Eric Gives Liam Advice-Will He Listen? Bold and the Beautiful heats up with the birth of Steffy (Jacqueline MacInnes Wood) and Liam Spencer’s (Scott Clifton) baby. 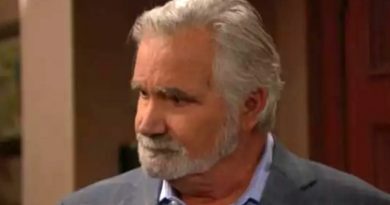 ‘Bold and the Beautiful’ spoilers: Bill Claims Baby is His- He Wins Again?